Insurance is typically thought of as something you buy to protect you and your family from unfortunate events. The QLAC offers a more pleasant kind of protection though: longevity insurance, meaning it protects you from outliving your savings. The longer you live, the more financial value the QLAC provides. The RMD is an IRS-mandated minimum amount you have to withdraw from pre-tax savings accounts starting at age 70 1/2. This is so they can guarantee they’ll get taxes from you. However, QLACs are exempt from this rule, meaning you can start withdrawing money as late as 85. QLAC rates based on a $125,000 New York Life life-only policy for a male aged-65 with income starting at age 85. Rates as of 10/4/2017. However, the government has set a limit of $125,000 or 25% of your pre-tax accounts (whichever is less) that you can put into a QLAC. Let’s run through an example. David, the near-retiree, has another source of income that will cover most of his expenses in the near future. He’d like to leave his IRA alone to continue accumulating, but RMD requirements force him to start withdrawing at age 70 1/2. By transferring $125,000 (maximum amount) from his IRA into a QLAC, he can reduce his required withdrawals. Assuming a 28% tax rate, David is able to defer over $34,000 of taxes between ages 70 1/2 and 85. QLACs can be set up as joint annuities, which means that the paychecks continue as long as either you or your spouse live. Structuring the contract like this is a great way to preserve financial stability and quality of life for the surviving spouse. Let’s continue to use David as our example. David expects that he will pass away before his 62-year-old wife, Eve. He wants to know that that she’ll be okay (at least financially) once he’s gone, so he’s considering adding her to his QLAC. 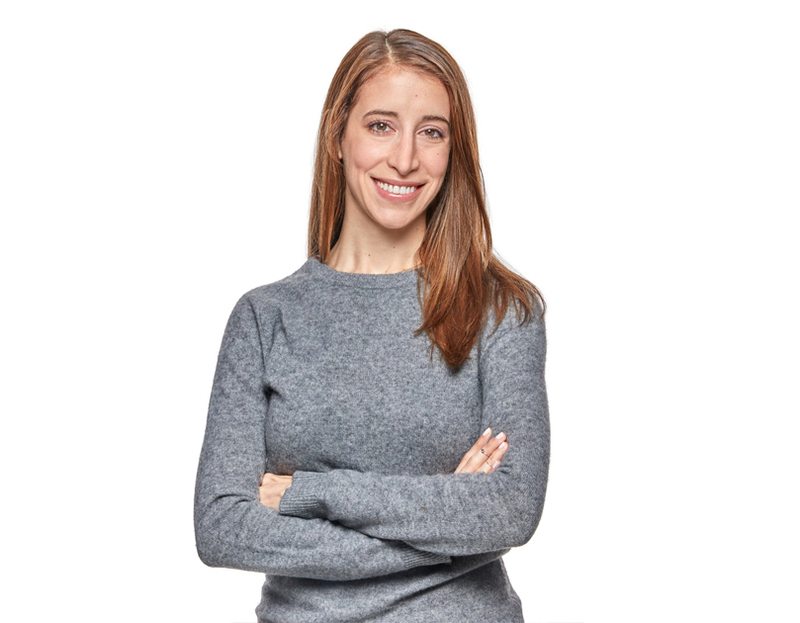 David can purchase a joint life policy that’s contingent on her life as well, such that income payments continue until both of them have passed away. The income payments will be lower, but they’re expected to be paid over a longer period of time. Since their expenses will decrease when it’s just Eve, they’ve opted for a 50% income reduction, which increases their income while they’re both alive. QLAC rates based on a $125,000 New York Life single and joint life-only policies for a male aged-65 and a female aged-62 with income starting at age 85. Rates as of 10/4/2017. 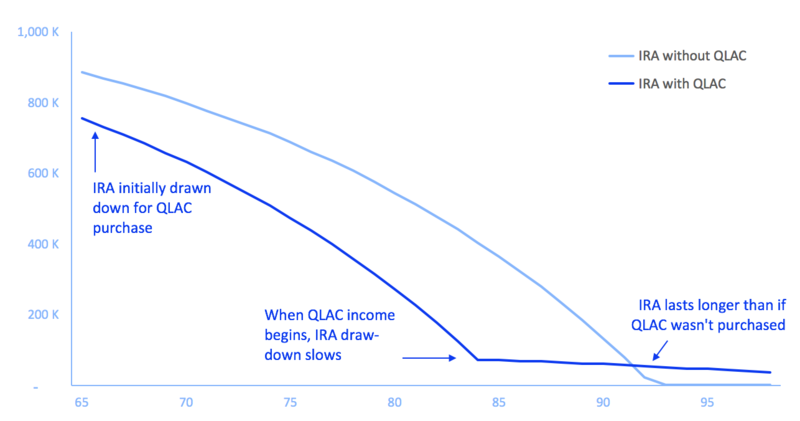 Adding a QLAC to your portfolio makes your retirement planning easier. Knowing that you’ll be receiving a steady paycheck in retirement to cover all or some of your expenses means you can take more risk with how you invest the rest of your money. You can learn more here about how we suggest you pair an annuity with investments to cover your basic and discretionary expenses. The savings that you allocate to a QLAC aren’t in the market, so they won’t be affected by swings in the stock or bond markets. And, by adding a beneficiary, you can make sure that all of your savings will be passed onto your loved ones if you pass away prematurely. This can be a drawback for some people. The income the insurance company guarantees you is determined upfront, and won’t grow if there’s market upside. If you’re looking for an investment style product, an immediate annuity isn’t the right solution. QLACs are like paychecks rather than savings accounts, so the money you receive each month isn’t usually flexible. This can be a downside, as you don’t have withdrawal control over your savings. However, most insurance companies offer the option to receive the next few months of payments in advance, which can be useful in emergency situations. This benefit goes by many names: commutations, withdrawal benefits, or payment acceleration. Each insurance company has different rules as to how many months of payments you can receive at once, and how many times you can utilize the benefit. Ask us for more details. Unlike most insurance products, the QLAC has a simple structure. For every dollar you contribute in premium, the insurance company will tell you how much you’ll receive every month, starting when you retire and continuing for the rest of your life. There are a couple options in the plan that can affect the level of income you’ll receive, but that’s it! 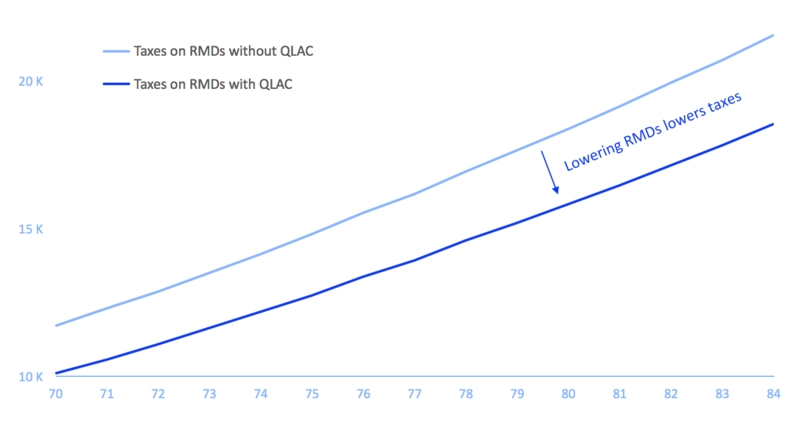 While QLACs are primarily insurance products, the value they offer can be compared to low-risk fixed income investments, such as an investment grade bond fund. As you approach retirement and no longer want to take equity market sized risks, you’ll likely move your assets into safe but low returning bond funds. Moving some of those assets instead into a high-rated QLAC will make your money last longer. QLACs are a great way to make retirement planning more simple. Here’s a quick chart to make understanding them simple too! Ready to get your personalized QLAC quotes? Visit our annuity calculators page. If you would like some more information on the pros and cons of a QLAC and how they relate to your personal situation email us at [email protected].